Two years ago, I happened to find this book and CD combination when wandering through the children’s area at Barnes & Noble. I was not aware of the book when it was first published in 2012. I missed two years of watching my children at school become totally enchanted by the song and the whimsical, child-like illustrations. Honestly, the book’s popularity in my classroom lasted the entire remainder of the school year. The very same reaction occurred this past year…especially on rainy days! The class wrote about the book in their journals, illustrated the book, completed numerous sequence of events projects, discussed the book among themselves… a myriad of activities are possible with It’s Raining, It’s Pouring as the catalyst. The children’s response is the exact result that I would love to have from every book! Davenier’s fluid artwork illustrated the lyrics to Peter, Paul, and Mary’s 1962 recording of “It’s Raining. When rain interrupts a group of kids’ outdoor fun, they head indoors to play hide-and-seek. The folk trio’s lyrics reference the game, and the verses draw in other nursery rhymes (Hey Diddle Diddle; Star Light, Star Bright). One child reads in bed to the ailing “old man” (Grandpa) who bumped his head on a flowerpot. A sweet-natured interpretation with a happy ending…Grandpa is certainly capable of getting up in the morning! 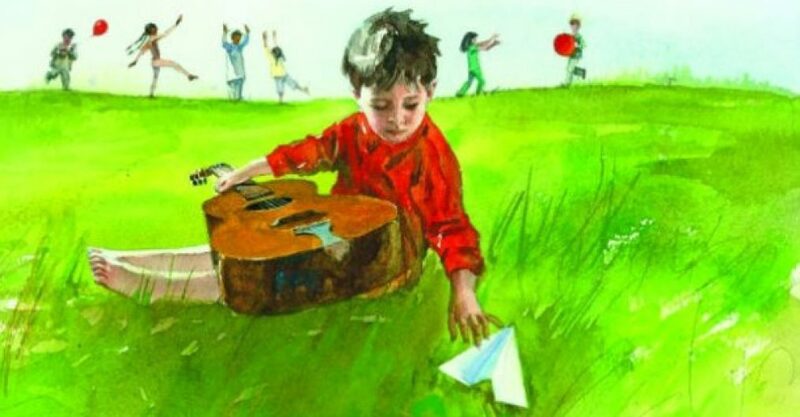 This cozy picture book illustrates the classic song. The appropriately watery, dreamy “illustrations corresponds perfectly with” the lyrics, creating a variety of side stories for readers to enjoy. When the rain starts, Grandpa bumps his head. Meanwhile, Grandma bakes an apple pie and kids peek out from every corner of the delightful house in an indoor game of hide-and-seek. Colorful watercolors provide appealing details and perspectives. The CD features this song and two others, and the illustrations work beautifully with the haunting melody. Both the book and the “new” recording fortunately omit the song’s orginal very sad verse: “Lady Bug, Lady Bug, fly away home, etc. As Kirkus Reviews states: The original song with its three-part “harmony” is deliciously imagined on these pages. I totally agree with the reviewers and recommend this book for children, teachers, parents, grandparents, and those who love children’s books like I do. Sometimes a children’s book will bring back such happy memories of your own childhood experiences. After I heard this book the first time, I remembered playing hide-and-seek with my cousins at our grandparent’s home. I even remembered the magnolia tree in the front yard, the driveway, and the white two story house across the street. I had not thought about playing at “MeMa and PePa’s” house for years. I loved that house on Noel Drive and I love this book for bringing joy to my class and remembered joy to me! ← My Falling Down Mistakes. I am going to have to find this for my grandbabies!! We love books. I imagine that you can order it online from Barnes & Noble. They may still have it in the store. The illustrations are so interesting…the children liked to look for little details. I literally had to put the book on the top shelf of one of the shelving units in my classroom. Otherwise, it would be the only book that anyone would like to read!!! Every time that the children would ask me to read it (well, play the CD and turn the pages), my assistant would say: “No, no not again. I sing that song in my sleep!”…she would leave the room and make copies!